Allied with Public Policy is the school-wide PhD program, which focuses on the preparation of planning-focused scholars who will teach and conduct research. 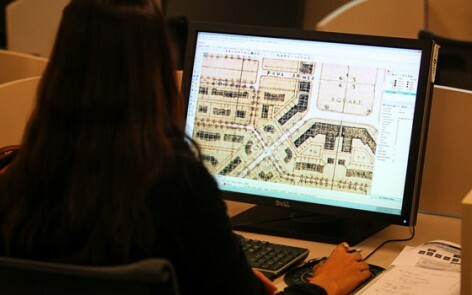 Combining the Bloustein School’s Master of City and Regional Planning (MCRP) and Master of Public Policy (MPP) leads to a three-year dual degree option for program and potential applicants. Students are accepted independently to both graduate programs after providing a separate application to each, but share concentrations, course electives, and requirements. The three year, 72 credit dual degree Program (36, MCRP and 36, MPP*) is a savings of 24 credits compared to earning the 48-credit MCRP and the MPP degrees separately. 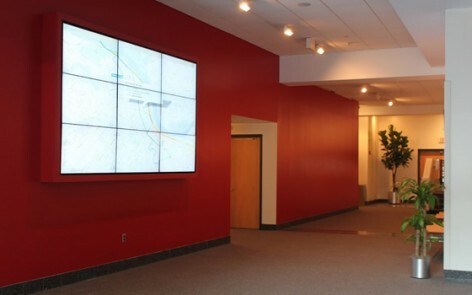 Each degree program accepts 12 credits from the other program. Students are required to take three methods courses, including Basic Quantitative Methods and Applied Multivariate Methods. 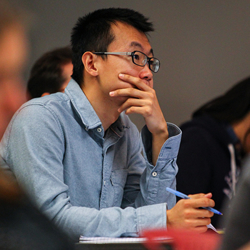 For the third methods course, students must choose between Research Design and Planning Methods. The three and one-half year program leads to a dual master of public affairs and politics/juris doctor (M.P.A.P./J.D.) degree. This program includes two and one-half years in Camden or Newark studying law and one year at the Bloustein School on the New Brunswick Campus studying politics and public policy. Students usually begin the program with the law school curriculum, completing two years of law school and one year in public policy before returning to one-half year in law school. This plan requires students to apply to the public policy program in February of their second year of law school. 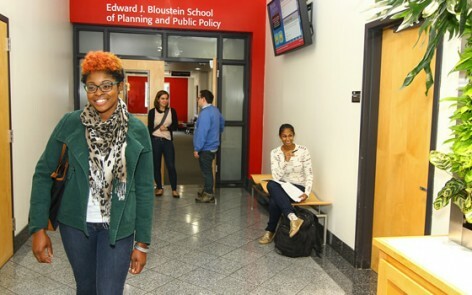 Courses required during the year at the Bloustein School include public policy formation, methods, and economics. The law school will transfer 12 credits or four required courses in the public policy program toward the J.D. degree. Students are eligible for financial aid for the year they are in residence at the Bloustein School. Awarded on a competitive basis and according to a student’s needs, financial aid can include tuition, tuition and stipends, or just a stipend. 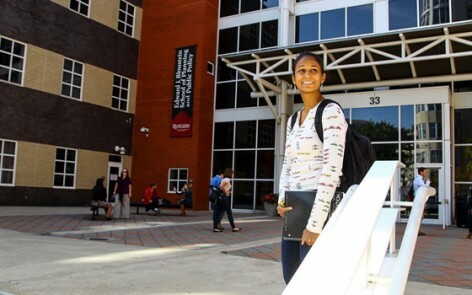 To be considered for the dual degree program, students must apply to the Bloustein School’s Public Policy Program in New Brunswick and be accepted to the School of Law at Camden or Newark. Students should submit their full applications by January 15 (for financial support consideration). The Law School Admission Test (LSAT) will be accepted in place of the Graduate Record Exam (GRE). A total of 60 credits are needed for the MBA and 48 credits* for the MPP However, since each program accepts 12 credits from the other toward its degree, students only take 48 credits with RBS and 36 credit with Edward J. Bloustein School of Planning and Public Policy. Courses applied to the specialization are chosen with the consultation of the student’s adviser, who directs that specialization, and the program director. Students must demonstrate basic competency in the concentration by achieving a B+ average or better. 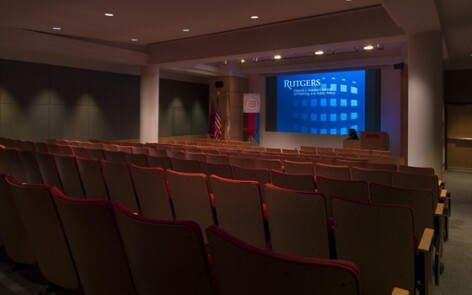 Courses offered toward the concentration may be drawn from offerings within the public policy program or Rutgers generally, with the permission of the adviser and the program director. Students may also perform an independent study, usually with the adviser for the concentration, as part of the concentration. Note: the MPP concentrations in applied economics and policy analysis or management are not permitted for the dual degrees. Students may reduce the third year load by taking additional classes in year two or by taking additional summer courses. Individually, a total of 40 credits are needed for the MS and 48 credits for the MPP. 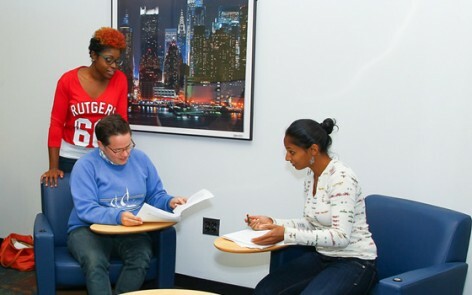 Students are able to complete the dual degree MPP/MS with 70 total credits—a minimum of 34 credits offered by the Graduate School-Newark, Division of Global Affairs towards the MS degree and a minimum of 36 credits offered by the Edward J. Bloustein School of Planning and Public Policy towards the MPP degree—and a language requirement. This dual degree program may be completed in six full-time semesters. 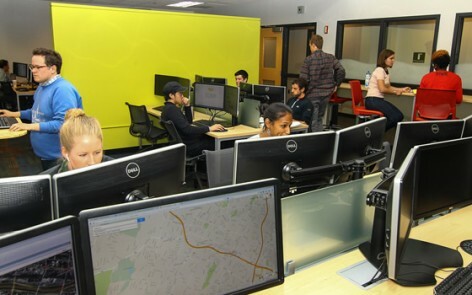 The Bloustein School would accept the DGA internship as its Applied Field Experience and the specialization courses to fulfill the concentration requirement for the MPP. DGA would accept the Bloustein methodology course to fulfill its Methods requirement and give credit for one Bloustein elective. Students would be required to take all other courses required for the MPP and for the MS in Global Affairs. Language requirement—Students must demonstrate both reading and writing knowledge of at least one modern language other than English. Colloquium—2,2 credits—26:478:570, 571 Two semesters are required; however students are encouraged to attend additional colloquia on a noncredit, non-registered basis. 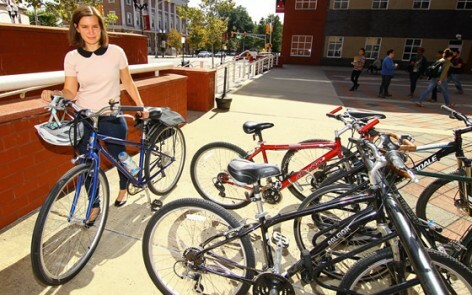 Combining the Master of Public Policy (MPP) degree at the Edward J. Bloustein School of Planning and Public Policy, and the Master of Public Health (MPH) degree at the Rutgers School of Public Health leads to a three-year, 69 credit dual degree option. Note that this is a savings of 24 credits compared to earning the 48 credit MPP and the 45 credit MPH degrees separately. Students are accepted independently to both graduate programs after providing a separate application to each, but share concentrations, course electives, and requirements. 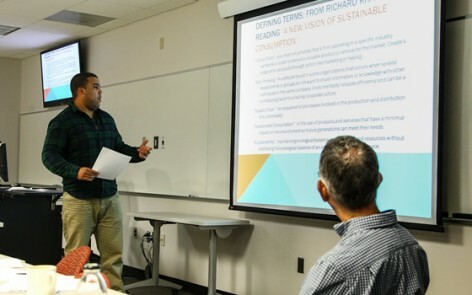 For the MPH degree, students are required to complete 15 credits of School of Public Health core courses, 15 credits of Department of Health Systems and Policy required courses, 3 credits of electives and 6 credits of Fieldwork. Up to six credits of MPP courses will fulfill School of Public Health electives. MPP courses must have a grade of B or better in order to transfer. 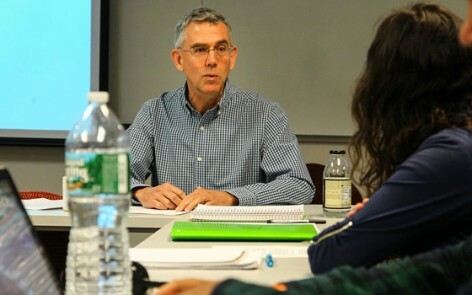 The student’s Department of Health Systems and Policy faculty advisor serves as a co-advisor with the Bloustein School faculty advisor for Fieldwork. Visit the MPH degree webpage or the Department of Health Systems and Policy’s webpage for more information about the MPH curriculum. For the MPP degree, students are required to complete 21 credits of required coursework and 18 elective credits. 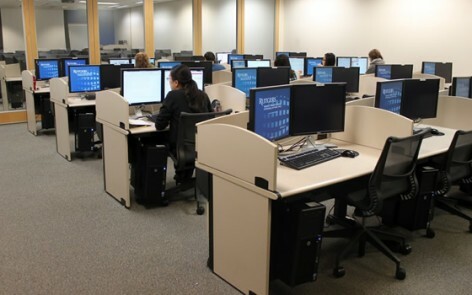 The Bloustein School accepts two MPH courses, Introduction to Biostatistics and Health Services Research and Evaluation in lieu of the required Research Design and Basic Quantitative Methods courses (6 credits) for the MPP. The Bloustein School also accepts 3 credits of Fieldwork II in lieu of the Applied Field Experience course required for the MPP. However, the student needs to meet all of the requirements of the Applied Field Experience when completing the School of Public Health Fieldwork course. Students are required to take elective courses approved by both their Bloustein and School of Public Health faculty advisors. 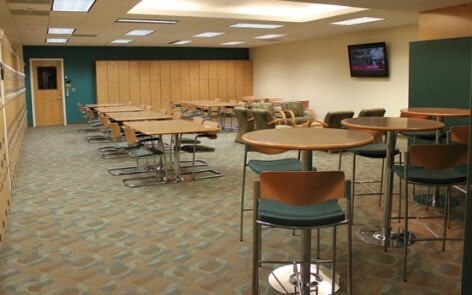 For the MPP, students are required to take 18 credits of electives. (A minimum of 9 credits of electives must be fulfilled with Bloustein courses; if more than 9 credits of electives are taken at Bloustein then the total number of credits for this dual-degree program may be more than the minimum of 69 credits.). For the MPH, students are required to take 9 credits of electives (6 of these 9 credits may be fulfilled with Bloustein courses approved by the School of Public Health faculty advisor). 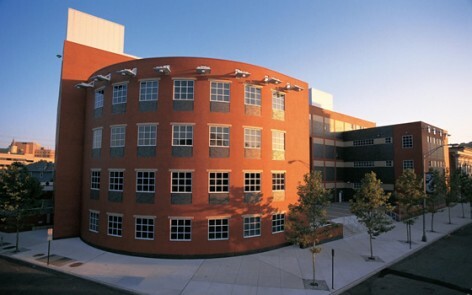 The Bloustein School, in cooperation with the School of Arts and Sciences and the School of Environmental and Biological Sciences, offers a joint program that enables students to earn the bachelor of arts or science and the Master of Public Policy degrees in five years of full-time enrollment rather than the normal six. This (3-1-1) five-year program gives exemplary students the opportunity to complete their liberal arts education while preparing for a career in public policy or politics. In the summer after graduation, students must participate in an applied field experience (internship) at a public agency, nonprofit organization, or private firm working on public issues. Students receive three (3) graduate credits* for the internship. During their fifth year, students will complete their graduate studies and, upon fulfilling all requirements, receive the MPP degree. 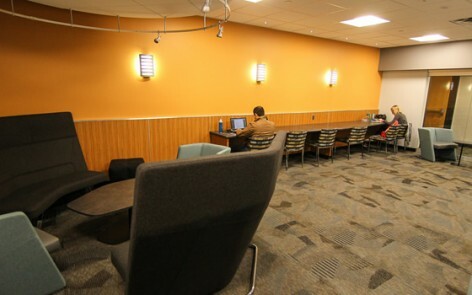 During their senior year, students receive the benefit of undergraduate tuition rates while taking graduate courses, thus reducing the cost of the two degrees. Graduates with MPP degrees work in important and varied positions in the field of public affairs, including the staffs of several governors, members of the United States House of Representatives and Senate, state legislatures, and in federal and state executive agencies. 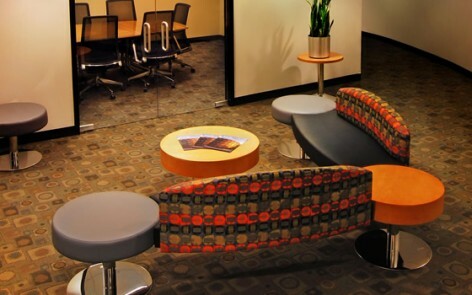 Many graduates also work in the private sector, including business, banking, the law, and non-profit organizations. The application requires transcripts, three letters of recommendation, a statement of purpose, GRE scores and a résumé. Your online application should indicate the BA or BS / MPP Program.